Harsh, exuberant, dark, dreamlike, bursting with life (and death). These are some of things I would say about In the Heart of the Heart of the Country, and about William Gass as a whole. In the haunting midwestern landscape of this book, everyday life is constantly giving way to the dormant fears and pains that lie beneath its thin exterior. 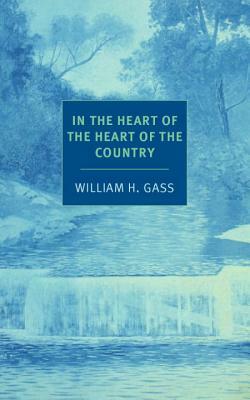 First published in 1968, In the Heart of the Heart of the Country established William Gass as one of America’s finest and boldest writers of fiction, and nearly fifty years later, the book still stands as a landmark of contemporary fiction. The two novellas and three short stories it contains are all set in the Midwest, and together they offer a mythical reimagining of America’s heartland, with its punishing extremes of heat and cold, its endless spaces and claustrophobic households, its hidden and baffled desires, its lurking threat of violence. Exploring and expanding the limits of the short story, Gass works magic with words, words that are as squirming, regal, and unexpected as the roaches, boys, icicles, neighbors, and neuroses that fill these pages, words that shock, dazzle, illumine, and delight. William H. Gass (b. 1924) is an essayist, novelist, and literary critic. He grew up in Ohio and is a former professor of philosophy at Washington University. Among his books are six works of fiction and nine books of nonfiction, including On Being Blue (1976; published as an NYRB Classic), Tests of Time (2002), A Temple of Texts (2006), and Life Sentences (2012). Gass lives with his wife, the architect Mary Gass, in St. Louis. Joanna Scott’s most recent novel is De Potter’s Grand Tour. Her other books include the novels Arrogance, The Manikin, and Follow Me and the story collections Various Antidotes and Everybody Loves Somebody.